CPR and Heartsaver training are offered. 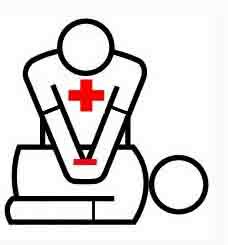 CPR and Health Care Provider training are offered. To sign up for a training course, please call 701.463.2178. If no one answers, please leave a message as we may be on a service call. Periodically, the Garrison-Max Ambulance District offers other EMS courses such as :First Aid, EVOC, EMT and EMR courses. If you are interested in signing up for an EMS course, please call the number above. Check back soon for any updates or additional courses added! !